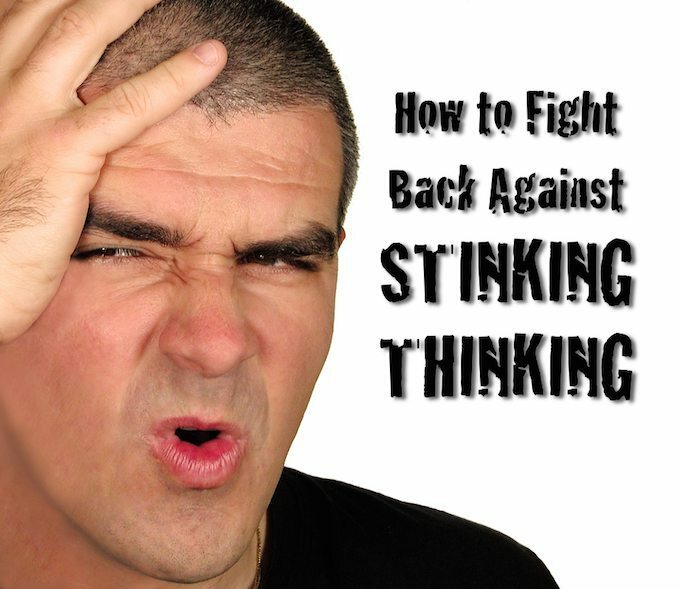 Do you ever struggle with stinking thinking? Let’s be honest, we all do from time to time. So how can we fight back and recapture control of our thoughts when we get stuck in a pattern of stinking thinking? If you are serious about LIVING IT FORWARD and moving from DREAM to DO, the first thing you need to do to stop stinking thinking is to go into business for yourself. Yes, you heard that right…you need to start your own business. And Kent even has a name for your company: Think Inc.
Before jumping in with both feet, here are a few things to recognize about your new business. First, your role in Think Inc. is that of the CEO (Chief Executive Officer). In fact, you’re not only the CEO, you’re also the owner, president, CFO, and more because you hold every title associated with your company. This means the buck stops with you! Second, you are also 100 percent responsible for the results your company delivers. It’s your job to make sure the company continues to grow and remains profitable. Finally, in case you’re wondering what Think Inc. produces, it manufactures only one thing—YOUR THOUGHTS! In Episode 011 of The Live It Forward Show, Kent Julian talks about how important it is to be intentional and proactive with your thoughts because you become what you think about most. He shares five powerful guidelines to help you launch your Think Inc. company so that you can take 100 percent ownership of your thought-life! 2. Podcast Launch Contest winners will be announced on next week’s show. 3. Get Paid to Speak—Speak It Forward Boot Camp (Early-bird registration ends June 15). If you enjoyed this episode, be sure to share it by using the social media buttons at the top or bottom of this post or by clicking on one of the tweets above.